Everything started as it so often does: with coffee. Commiserating with another Argentine over a recent experience of lost luggage, we hatched an idea for a suitcase that could never be lost. And so began, in mid 2013, a journey that was to become, although at times indescribably challenging, the best experience of my life. My background was in sales & manufacturing and I had a small amount of experience in doing business in China; Diego, my co-founder had built a mobile app startup. That very day, I approached another friend to take care of design. 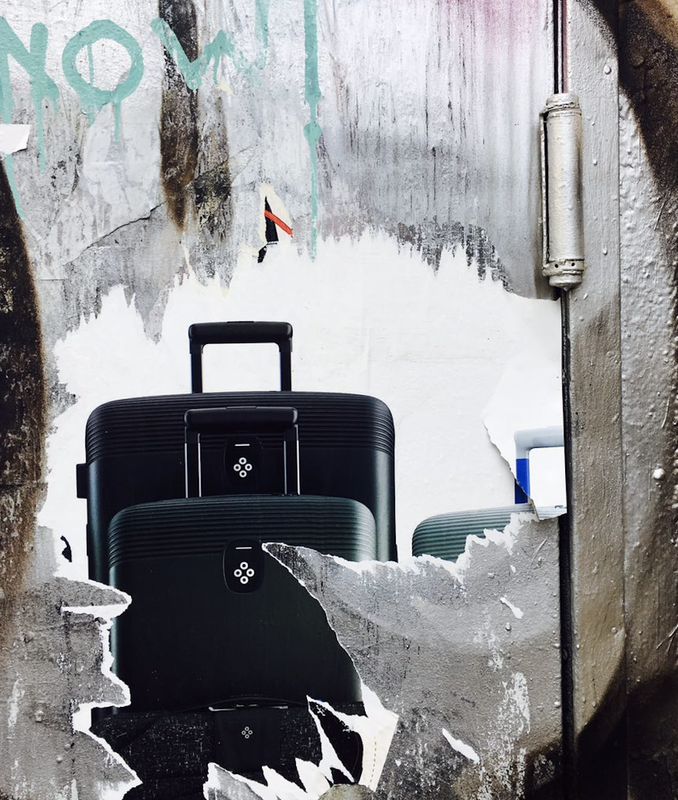 Alejo immediately jumped at the thought of creating the suitcase Steve Jobs would have made. The ball was rolling and the very next week I was in China sourcing vendors. A few industrial drawings and $150k later, we were a bonafide startup. Shenzhen, New York, and Buenos Aires came together at lightning speed to (re)invent what had been for too long a sleepy category. Designs were discussed with TSA and FAA; features weighed and rejected; price points and competitive positioning evaluated; distribution strategy debated. Jumping on the crowdfunding bandwagon, we floated the first version of the product in October 2014 — and were humbled at the response: 10,000 units sold for over $2 million in +110 countries. 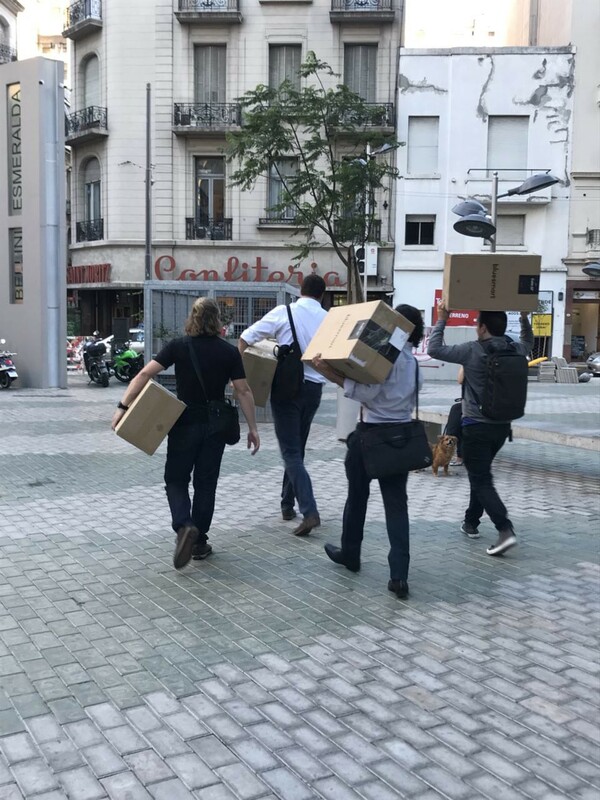 Thereafter everything happened in the blink of an eye: Y Combinator, a non-cap valuation round, sales growth, a host of design awards, beautiful offices, so much free press, and a who’s who of celebrities and heads of state with our carry-on rolling behind them. It was like a dream. And then one day in November 2017, we woke up to a video about a smoking suitcase in an overhead compartment. The suitcase in question was made by a copycat [Chinese] vendor who had bypassed all the safety features and had nothing to do with us. But that did not matter to American Airlines. Nor did it matter that we were compliant with TSA/FAA regulations or that our batteries were smaller than those in most phones/laptops, which did not suffer the same fate. Within weeks the airline issued a blanket ban on smart suitcases that had unremovable batteries. United and Delta soon followed suit and before the end of the month, our business prospects had gone up in smoke. We had recently concluded the successful launch of our expanded product line (Series2), had sold tens of thousands of bags, our operations in China were more solid than ever, and we were preparing an aggressive marketing campaign for Christmas season. We were also in the midst of a funding round, which, like the smoldering luggage, went up in smoke. Within a few weeks, we had let go 90% of our team members and a few months later, sold the company to TravelPro. Today, six months after that sale, I wanted to share the lessons I have learned to help other founders who may be heading down a similar path. The How Matters. Be open and transparent with shareholders, employees, and clients. When things started falling apart, we did our best to communicate with our investors, clients, employees, and partners, but in between, there were many hard decision to make. Really hard. These were the worst moments of my entrepreneurial life. I’m proud of the way we managed it, but I still feel we could have communicated better, especially with respect to some of the employees who risked and dedicated so much to help a dream a come true. It was also difficult to have to tell customers, who had purchased bags that we would not be able to deliver. Their support, after all, was the major reason for our early success. Be transparent always, especially in tough times, people will understand. And remember, you’ll be judged as much by the way you handle yourself when in a tight corner as by the ultimate outcome. And never more so than by the people who matter. 2. Yes, we know you’re ambitious. Now rein it in. Learn to say no. At one point we had five offices, over a hundred distribution partners and orders pouring in from every continent. We felt so cool and rode the wave. One of the hardest things about building a company is knowing how to say ‘NO’. We tried to conquer too much, too fast — and before long we were mired in different languages, currencies, customs regulations, and cultural differences. So think twice before expanding. It’s both hard and expensive to shut down offices and unwind bad decisions. Though less glamorous, it’s far better to focus relentlessly on building solid foundations before trying to ‘change’ the world. Work to make it work. 3. Don’t celebrate until you’ve crossed the chasm. It’s old, but often-forgotten advice: early adopters are not the business. Don’t believe your own press, be careful of drinking the Kool-aid. I got drunk on it. True product-market fit doesn’t happen until you’ve crossed the chasm. Don’t spend a dollar more than necessary until you achieve this. We learned this very late. 4. Choose your founders and your mentors carefully. Beyond all the usual tips about complementary skills, pick co-founders you admire and respect, for they will be the ones holding the fort with you at the end. A similar standard should be applied to investors and mentors: choose them carefully, and once you do, trust their advice. It’s also wise to limit the number of co-founders, investors, and mentors you bring on board. A classic case of ‘less is more’. A startup is a village but it’s also a spaceship hurtling into the ether at a thousand miles a second, and it’s an absolute must to be able to rely on your co-founders with no fear of judgment. It was all a disaster in the end and I without Alejo and Diego, wouldn’t or couldn’t have gone through it. I am humbled and honored that they chose to go on this journey with me from beginning till the end. It’s a marathon, not a sprint. That sounds like a cliche but in the end, you gotta enjoy the ride. Luck and circumstances beyond your control play such a big part in a startup’s success or failure (as we learned the hard way). Because of this uncertainty, you will never be able to know what the outcome will be. Its therefore crucial that you enjoy the journey and that you are able to look back on good memories, no matter the outcome. At Bluesmart we loved what we were doing and the dozens of memorable anecdotes with my friends/coworkers around the globe still bring a smile to my face and I’m sure will do for a long time. 6. Don’t forget to breathe. Work hard but take time for the things that really matter like family and health. We regularly worked 100 hour weeks, traveled back and forth across the globe and often sacrificed both sleep and exercise. Maybe it’s because my 6’7” body doesn’t fit easily in coach, but I now have a herniated disc for my efforts. Luckily I also have an amazing woman at my side; or rather, I was lucky that she was there with me before that coffee and she still is today.